Like most Freemasons of his time, John Hancock was a wealthy entrepreneur with a penchant for politics, trade and higher education. Born in 1737, just a few short decades before the American Revolution and at a time when disputes and wars over property rights and law enforcement were already a common occurrence throughout the colonies, Hancock spent the first seven years of his life in Braintree, Massachusetts, where he befriended the soon-to-be-famous John Adams, who was only two years older. After his father died, Hancock was adopted by his wealthy aunt and uncle who owned a highly successful shipping business. Like his father, Hancock attended Harvard. He graduated in 1754 at the age of 17 and entered his uncle's business soon thereafter. In October of 1762, John Hancock became a Freemason when he joined the Masonic Lodge of St. Andrew, where he was able to connect with other influential Masons in Boston. Although he did not take as active of an approach as Franklin or Washington, Hancock maintained his Freemason membership and loyalty to the lodge. John Adams was in fact never a Freemason. Outwardly, it would appear that Hancock lived the proper life of a wealthy nobleman of the 18th century. He maintained a lavish lifestyle after inheriting his uncle's business and had ties to Boston's most noteworthy citizens. But as time went on and British rule began to encroach upon the citizens of the colonies, it became clear that Hancock's proper English demeanor did not mean loyalty for his King. Like many wealthy men of his time, Hancock had a lot of stake in Britain's regulations and restrictions upon the colonies' merchants. Alongside John Adams and Paul Revere, Hancock became involved in politics in hopes of repealing Britain's imposed laws like the Stamp Act and the Townshend Duties. He rallied protests that turned violent and smuggled goods onboard his shipping vessels in order to bypass tax laws, acts that resulted in large fines and a dwindling of his fortune. By early 1770, Hancock, along with his counterpart John Adams, were starting to be seen as major troublemakers throughout the British Empire. Both became targets of repeated military ambush, which resulted in violent acts that included the Boston Massacre. 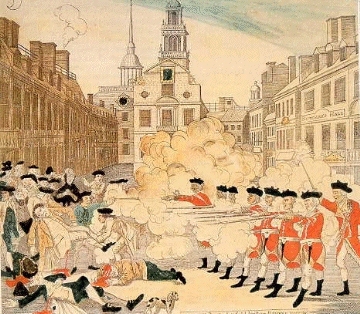 Just short of the meeting of the Second Continental Congress, Adams and Hancock decided to flee Boston in order to ensure their safe arrival in Philadelphia. Hancock had been assigned the Massachusetts delegate to the Congress, which meant that he helped manage the colonial war effort with the ultimate goal of American independence. 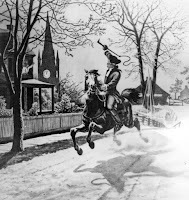 On April 18, 1775, Paul Revere took his famous "Midnight Ride" across the Charles River in order to deliver the news of impending British invasion, although he did not shout the phrase later attributed to him. His mission depended on stealth and secrecy, and by evading the British successfully, Revere was able to reach Hancock and Adams in Lexington around midnight. 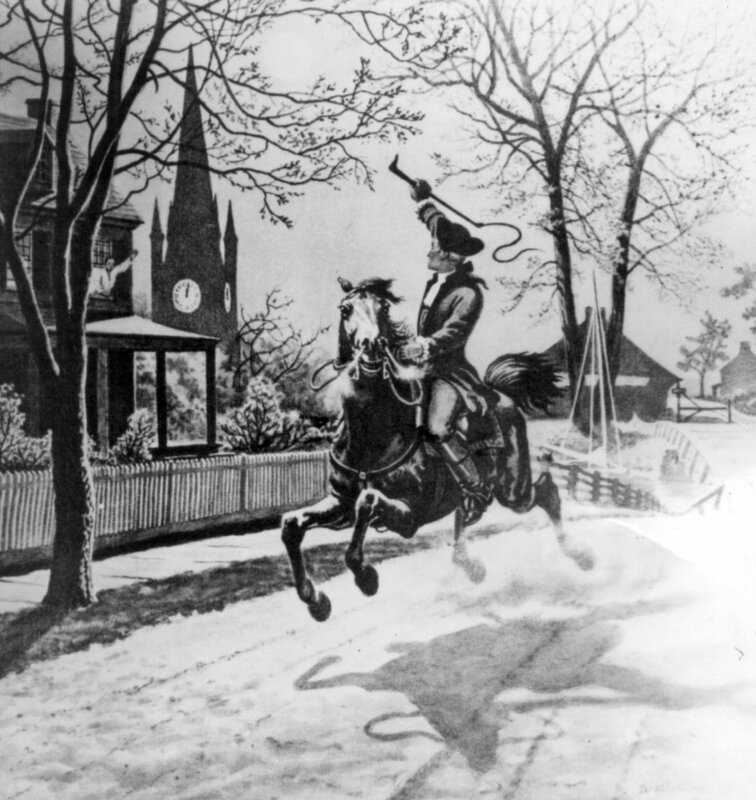 Paul Revere was later captured by a few British Army patrol guards near Lexington, but was ultimately released once the guards approached the town and heard alarm bells in the distance. In this way, both Adams and Hancock were able to successfully escape Lexington and arrive in Philadelphia unharmed. 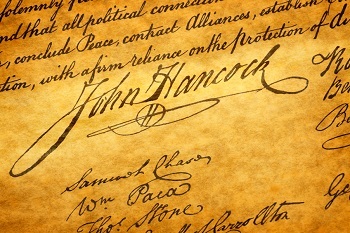 There, Hancock placed his sizable signature upon the Declaration of Independence, an act that not only contributed to the Revolutionary War, but also spawned the phrase "to give your John Hancock." Although Hancock had a swift start to his political career, he encountered many failures along the way. After an expedition that he commanded into Rhode Island resulted in complete disaster, he was ordered to pay $22,000 by Harvard University, where he was accused of mismanaging funds. Regardless, Hancock's passion for politics did not waver, and he successfully ran for Massachusetts governor in 1780. But his gubernatorial goals were continually met with opposition. Debts rose dramatically after the Revolutionary War as a result of the demand for hard money currency by European merchants. The colonies’ money became devalued, and without proper lines of credit, American merchants began to force the hard currency demand onto their local partners. Many businesses then passed on this demand to their customers, which in turn created a stagnant economy destined for crisis. Although Hancock refused to collect on delinquent taxes and allowed citizens to pay debts with paper money, he knew the country was headed for financial doom. He retired as governor just shortly before the Panic of 1785, but was re-elected in 1787 when he ran for office once more. John Hancock died on October 8, 1793, while actively serving as governor of Massachusetts. We love getting to know our favorite Masons more intimately. 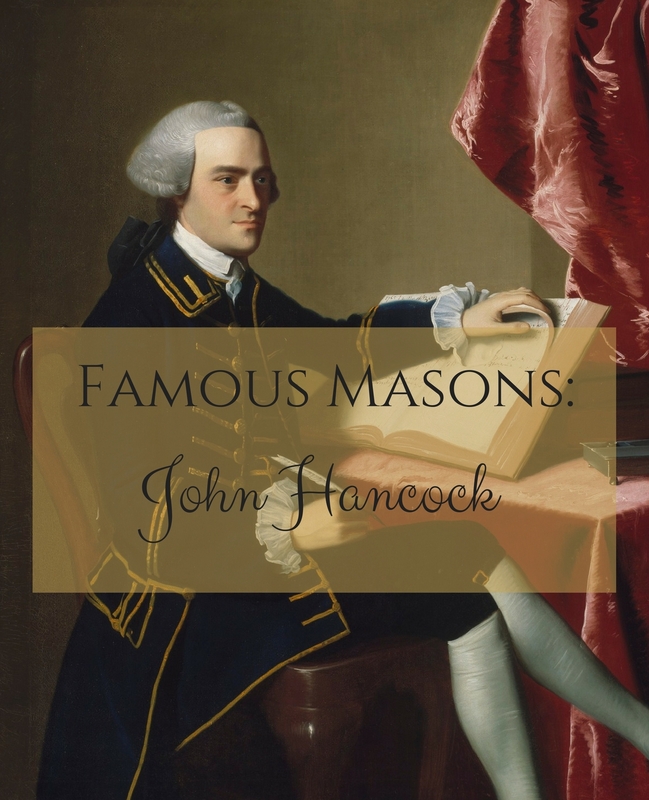 If you have any interesting Freemason facts about John Hancock you’d like to pass along, leave your comment below or contact us today!